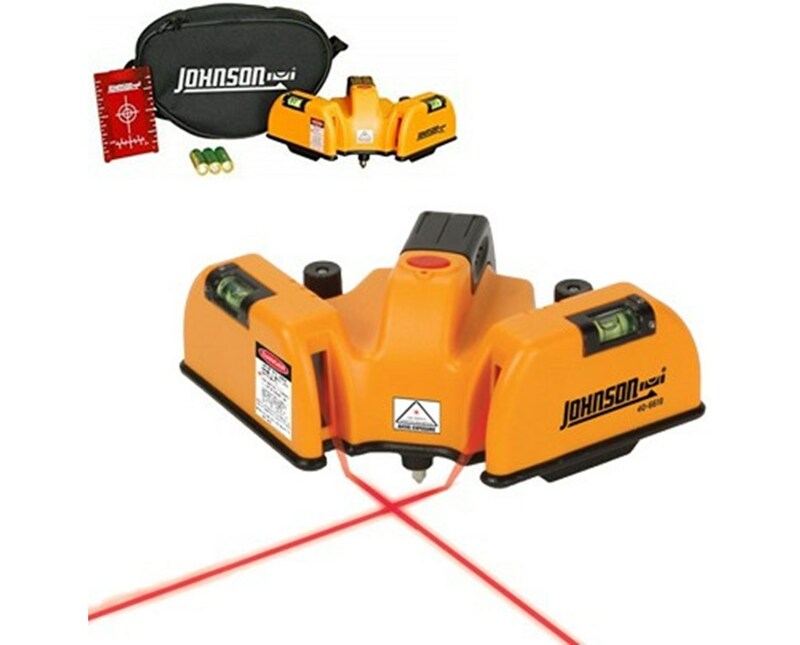 With a working range of up to 65 feet, the Johnson Level Red Beam Floor Line Laser generates two lines on the floor at a 90-degree angle for precise surface layout. This simple to use tool also features a long battery life, leveling screws and bubble vials. The Johnson Level green beam line laser generates two laser beams over wet mastic or concrete with ±1/6-inch accuracy at 20 feet. 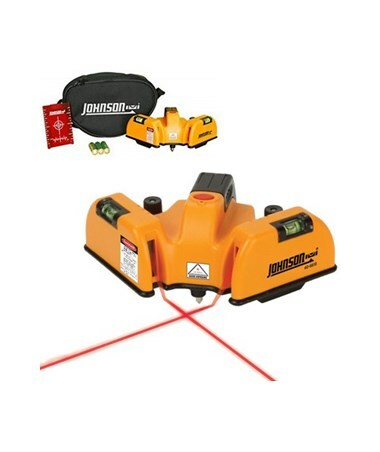 This line laser level emits simultaneous horizontal and right angle alignment for tile, stone, brick, carpet and hardwood floor layout. It also has a simple one button operation and top mounted vials and leveling screws. Featuring a robust housing with metal feet, this line laser is highly durable and uses three AA alkaline batteries to power up the device up to 30 hours. 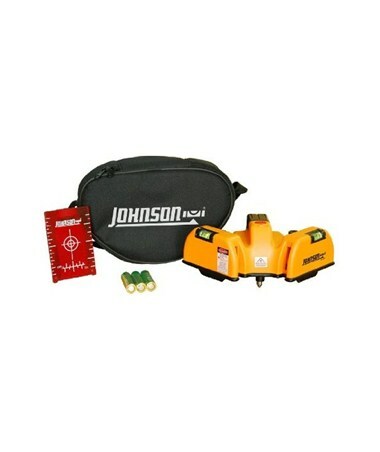 This Johnson Level line laser comes with a floor target, soft-sided carrying case, three AA alkaline battery and 3-year with warranty card. Interior range up to 65 ft.